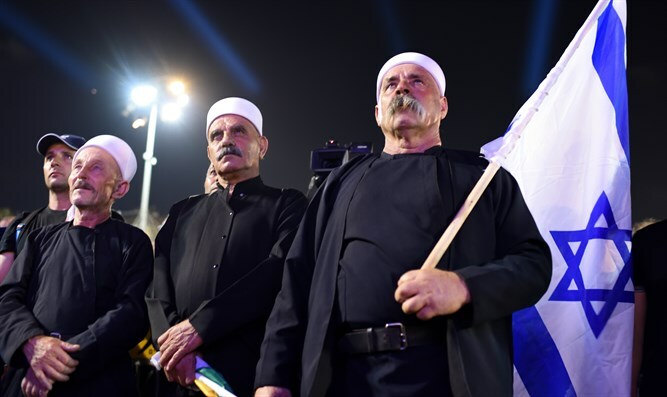 As Israel’s Communications Minister Ayoub Kara proclaimed, “The State of Israel honors the loyal Druze community.” One just has to note the differences between the Arab and Druze demonstrations to see what that loyalty entails. Last weekend, tens of thousands of Israeli Arabs protested against the Nation-State Law (aka Nationality Law) in Tel Aviv while waving Palestinian flags and chanting anti-Israel slogans. This demonstration came after elements of the Druze community held a similar demonstration against the Nation-State Law, claiming that it transforms them into second-class citizens. However, such criticisms of the Nation-State Law are misguided. In fact, for Israel’s minority groups, not much, if anything, has changed for the worse since the passage of the Law. Arabs, Druze and other minorities in Israel continue to enjoy freedom of speech, freedom of the press, the right to assembly, the right to serve in the Knesset, the right to freedom of worship, the right to speak Arabic in public and in school and other basic human rights that minorities in countries like Turkey, Iran, Syria, etc. can only dream about. Even after the passage of the Nation-State Law, Israel remains the only democratic state in the Middle East which continues to promote human rights, minority rights, women’s rights and other humanitarian values. Despite the uproar over the passage of the Nation-State Law and the demonstrations against it, declaring that Israel is the Jewish state and removing the status of Arabic as an official language of the country does nothing to change the status that Israel’s minority groups enjoy. When one rides the Light Rail in Jerusalem, one will still read signs in English, Hebrew and Arabic. 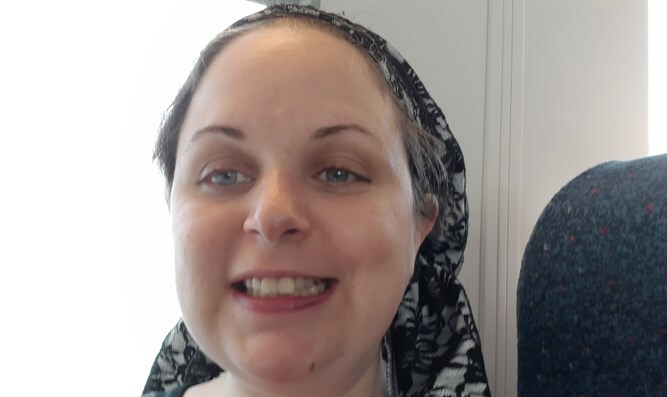 When one goes to an opera in Acre, the Israel Opera will still have an intermission in order to respect the Muslim right to pray freely without interference within the predominately Arab city. Arab students in Israel will still have their own schools, where they will be taught to read and write in their own language, to learn about their own religion and to study their own history. At the same time, Arab doctors will still be treating Jewish patients and Jewish doctors will still be treating Arab patients. And in spite of the condemnations around the world, Arabs, Druze and other minority groups in Israel still have an enviable position compared to the Druze in Syria, the Bahais in Iran, the Kurds throughout the Middle East, the Christians in the Arab world, and even various religious minority groups in Turkey. During the Syrian democide, members of the Druze faith, the Christian faith and Yezidi faith have been massacred and forcefully converted to Islam. The fate of 3,000 Yezidi women who remain sexually enslaved by ISIS remains an open question. But in Israel, the non-Jewish population has a positive population growth since they have been treated well and thus have grown in addition to prospering. In Iran, Bahais are not permitted to study in university on account of their faith and a Bahai student was recently expelled from the Azad University of Kerman due to his faith. In contrast, on university campuses across Israel, one can see many Muslim women in hijab studying, working to advance themselves. According to Iranian Kurdish dissident Kajal Mohammadi, some Kurdish musical performances in Iran have been cancelled merely because they were in Kurdish and for no other reason. In contrast, at the Netanya Cultural Center, there was recently a concert in Moroccan Arabic and a Palestinian film was recently displayed in Tel Aviv. Apparently, the BDS Movement is a one-way street, for audiences in Israel have no intention of boycotting Arabic culture in return. In fact, even the most outspoken Arab activists who condemn the Nation-State Law won’t face any consequences for their political activities. In contrast, according to Turkish Jewish dissident Rafael Sadi, under AKP rule in Turkey, thousands of journalists have been imprisoned merely for criticizing the government. Indeed, it is a pivotal Israeli interest that the Druze community, who has been loyal to the Jewish people since the times of Jethro in the Bible, have their right to equality engrained in Israeli law. They have fought alongside Jews for the State of Israel since the country’s establishment and have earned that privilege. Such an initiative would be an important message to the international community, declaring that Israel still respects the rights of its minorities and nothing has changed regarding minority rights in Israel since the passage of the Nation State Law. And for this reason, the Druze should continue to support the State of Israel.